Want to know a secret? Here at SHWAT™ – Special Hog Weapons and Tactics™, we are all about killing feral pigs and the endless gear and fun that go along with that. It can be done 24/7/365 with few restrictions in our home state of Texas and a handful of other states in the south. Short of raising our right hands and signing a contract with Uncle Sam, there aren’t a ton of other good ways to run around in the dark with the latest night vision, thermal scopes, and awesome firearms. Chances are, you either enjoy doing similar things or would like to. But did you know that those of us that hunt wild pigs with any regularity might not be the super majority of hunters we think we are? That may be a bit surprising considering the marketing and publicity that hog hunting related products and services get. Consider the amount of ammunition, optics, guns and more made just for us. Even multiple TV shows focusing on pig hunting. I suspect we shoot more bullets than the average! But how many of us are there really? According to the U. S. Fish and Wildlife Services 2011 National Survey of Fishing, Hunting, and Wildlife-Associated Recreation, less than 15% of hunters in America actively hunt wild hogs. How much less, we don’t know because we are lumped in with raccoon and crow hunters and such in the statistics. How raccoons and crows are similar to hogs, I’m not sure. Non-hunters must have compiled the statistics. Non-hunters or perhaps the overlooked fact that most places don’t require a special hunting license to hunt hogs making data a bit tougher to crunch satisfactorily. 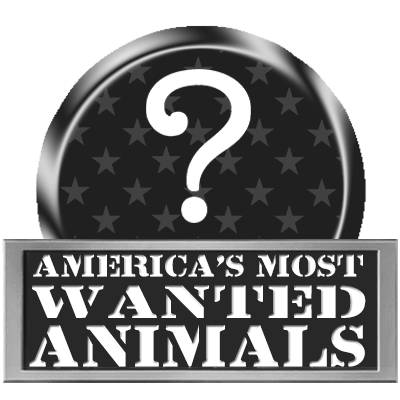 In any event, here is the official list of America’s Most Wanted – dead, not alive – Animals starting with “big game”. What animal gets the honor of being shot at more than any other in the US? If you guessed deer, you are correct. One hundred and sixty-eight million days were spent by 10.9 million Americans chasing deer down – though I suspect most those days were spent in a deer stand, and not chasing anything at all. Thinking about millions and millions of hours in a deer stand makes me want to go for a jog and I don’t like jogging. Number two on America’s Most Wanted animals is the wild turkey. 3.1 million of us spent thirty-three million days trying to ruin the day for the gobbling kind. While I’ve never actually hunted turkey, I do enjoy eating them. Carry on, great turkey hunters! 867,000 hunters went out for some serious poundage in the meat department on our number three most sought game, the majestic elk. Those dedicated men and women spent a total eight million days on that adventure track. And what’s not to like? Wilderness, guns or bows, and many amazing meals to follow. Slightly fewer hunters went after number four on our list, the bear. Some people like the taste of bear meat and some don’t, but 526,000 Americans thought is was worth investing five million days for the adventure of taking on truly dangerous game. I once had face to face argument with a Colorado black bear over a weeks worth of my food. I won, but he took revenge on my tent and my buddy’s sleeping pad the next day. Squirrels top the list of small animals that lead the most dangerous lives. 1.7 million of us spent twenty-one million days shooting small projectiles at small, fast moving targets. Funny how when a big truck is coming at them they run into the street and make it difficult not to kill them, but go to the trouble of hunting them and they all run and hide. Rabbits and hares don’t fare much better. At number two on the small animals list they had 1.5 million people spend twenty-one million days making them want to get back inside their rabbit holes. If I can just keep them out of the vegetable garden, it would be nice. Pheasants follow at 1.5 million people spending ten million days hunting them; quail and grouse tie with eight million hunters and nine and eight million days hunting respectively. The most wanted migratory birds are ducks, dove and geese. Combined, 2.6 million Americans set aside twenty-three million days to blast holes in the sky and occasionally these birds. So there you have it. America’s Most Wanted Animals. Maybe a better way to put it is America’s Animals Most Wanted Dead or Animals Americans Most Want to make Dead. The report is four years old and the data on something like hogs could literally be out of date before it’s even published since hunting licenses are a key way such info gets compiled. California is the only state that requires a hog hunting specific license, so for those of us who’s intuition and experience lead us to question the report’s hog hunting stats, we’ll just smile and wave and keep the action growing! 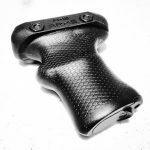 This entry was posted in Tactical Hog Blog and tagged Bear, Deer, Duck, Elk, Fish & Game, Hog, Hunting, Moose, Pheasant, Rabbit, SHWAT, Statistics, Turkey by Stephen Owen. Bookmark the permalink.